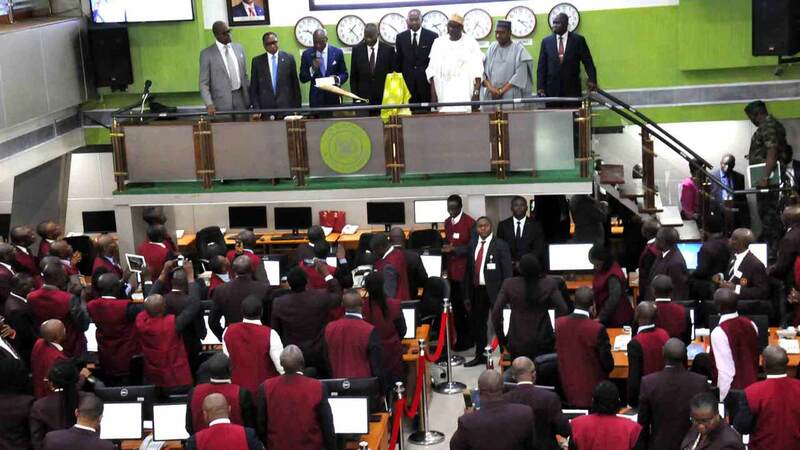 Following price losses suffered by major blue chip stocks, transactions on the equity sector of the Nigerian Stock Exchange (NSE) re-opened on a downturn yesterday, as market capitalisation fell by N136billion. Yesterday, virtually all the highly capitalised stocks recorded price depreciation, as Dangote Cement led 33 others on the losers’ chart with 8.00 kobo to close at N270 per share, while Forte Oil followed with a loss of 2.40 to close at N46.05 per share. Julius Berger was down by 1.35.00 kobo to close at N28.65 per share. Lafarge Wapco declined by 1.00 kobo to close at N53.00 per share. Cadbury decreased by 50.00 kobo to close at N15.50 per share. Berger Paints shed 0.30 kobo to close at N9.65 per share. Fidelity Bank shed 0.17 kobo to close at N3.53 per share. UAC-Properties lost 0.15 kobo to close at N2.89 per share. Skye Bank dropped 0.08 kobo to close at N1.35 per share. Wema bank depreciated by 0.07 kobo to close at N1.43 per share. On the other hand, Betaglass led the gainers’ table, gaining 3.10 kobo to close at N65.45 per share. Zenith International Bank followed with a gain of 70k to close at N32.65, while PZ industries appreciated by 55 kobo to close at N23.65 per share. Nigerian Breweries added 50 kobo to N145.00 per share. Dangote Sugar grew by 0.35 kobo to close at N21 per share. Guaranty Trust Bank gained 0.30 kobo to close at N49.30 per share. Afriprud added 0.19 kobo to close at N4.94 per share. Flour mills gained 0.15 kobo to close at N34.00 per share. Caverton garnered 0.12 kobo to close at N2.60 per share. NPF Microfinance Bank appreciated by 0.09 kobo to close at N1.94 per share. Consequently, the All-Share Index dipped 378.27 points or 0.85 per cent to close at 44,261.72 compared with 44,639.99 achieved on Friday. Similarly, the market capitalisation, which opened at N16.019trillion shed N136billion or 0.85 per cent to close at N15.883trillion. 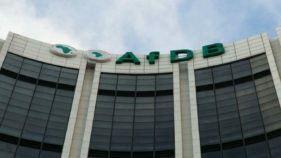 The volume of shares traded dipped by 20.25 per cent as investors bought and sold 426.87 million shares valued at N2.77 billion in 5,741 deals. 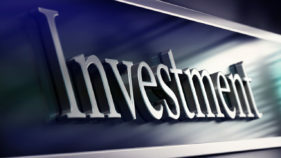 This was in contrast with a turnover of 535.26 million shares worth N3.61billion traded in 6,054 deals. The financial services sector remained investors delight with FCMB Group emerging the most active stock in volume terms with 101.49 million shares valued at N303.32million. 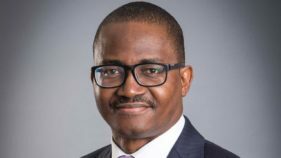 Skye Bank followed with an account of 48.34 million shares worth N66.37million, while Diamond Bank exchanged 31.54 million shares valued at N100.21million. Transcorp sold 27.73 million shares worth N63.54million, while AIICO Insurance transacted 27.63 million shares valued at N24.31million.